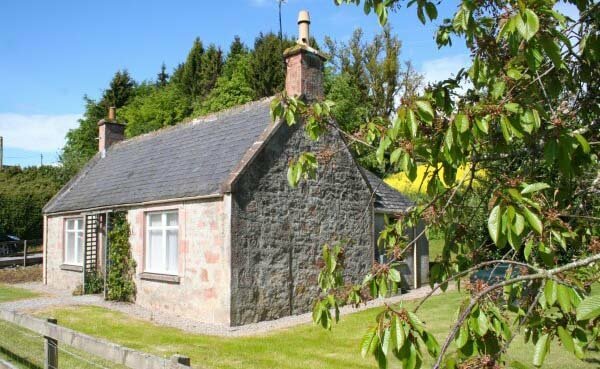 This pretty cottage is set on a beautiful highland estate with a plethora of walks from the doorstep. 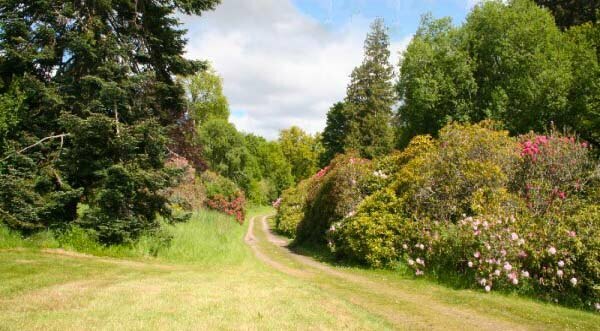 The far-reaching views include the meandering River Conon which offers walking paths and picnic spots through a wooded dell - beautiful in all seasons but it is ablaze with colour in the spring with rhododendrons and azaleas and mighty specimen trees as a backdrop. The cottage is in an idyllic setting! Outdoor activities abound on the estate itself, with free fishing for brown trout available on the River Conon and pike on Loch Ussie. Clay pigeon, walked up shooting and duck flights are all available here too. A red kite feeding station sits on the higher ground of the Brahan estate and visitors can view these aerobatic birds swooping in to feed. The area is rich in golf courses from the notoriously hilly Strathpeffer just along the road, to the many links courses on the Black Isle and beyond. There are seven golf courses within 30 minutes of the Brahan Estate alone and one right on the doorstep! There is much to do in the area too. The Victorian spa village of Strathpeffer (6 miles away) offers tea rooms, dining and interesting village architecture along with the The Pump Room gift shop. Ullapool and the west coast is within an hour's drive so easily visited for a day trip. The cathedral town of Dornoch with lovely beaches, a famous golf course, nearby Dunrobin Castle and several distilleries make for a good day out. The bonnie Black Isle with characterful coastal villages to explore is only a 30 minute drive. The city of Inverness offers leisure activities, a riverside theatre and boat trips on Loch Ness and around the Moray Firth where you can view the bottle nosed dolphins. The castles of Cawdor, Brodie, Urquhart and Culloden battlefield are all steeped in historical interest and well worth a visit. This attractive little stone-built cottage has been refurbished to a high standard and has far reaching views across the river to the mountains beyond. Set in a fenced garden with roses around the door, it is the perfect romantic getaway. 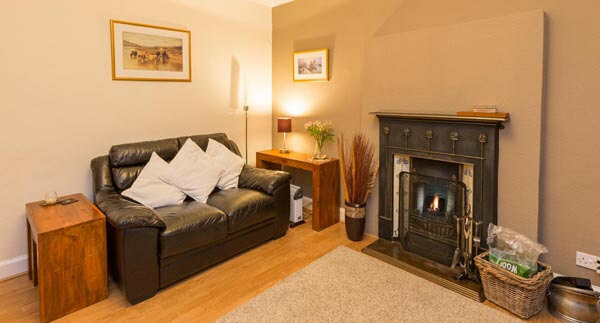 The sitting room has an attractive period-style open fire with wooden flooring. The kitchen is well-fitted and has a dining table. 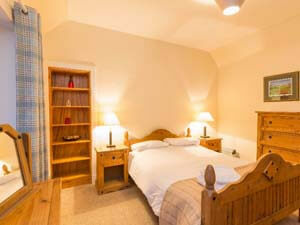 The double bedroom is set next to a spacious shower room/WC. Take the A9 north from Inverness to Wick, at the 1st roundabout after Kessock Bridge take the A835 towards Ullapool (2nd exit). At the next roundabout take the 1st left then 1st right into Hood Street in Maryburgh, bear left at the top then 1st right into Dunglass Rd. Continue along this road and you will find Dunglass Cottage just over 1 mile on the right, immediately before the farm buildings. Electricity and oil heating is included. A starter pack of peat is provided for the open fire. Bed linen is provided but not towels. 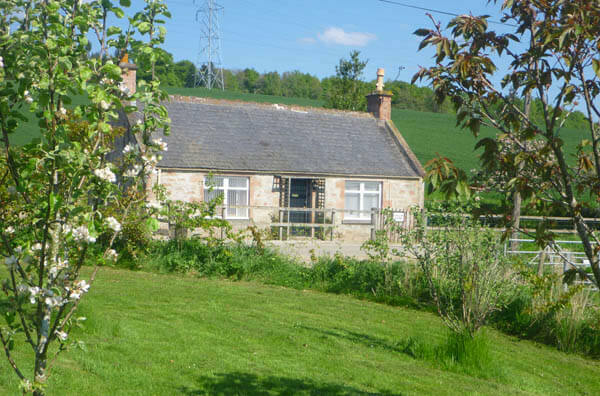 Dunglass Cottage is rented out throughout the year. Change over day is Saturday. Check in 4pm, check out 10am. 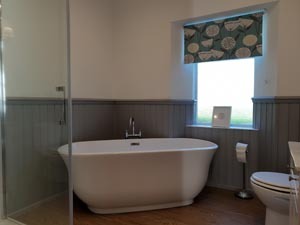 To book this romantic self catering cottage near Dingwall, click the enquiry button below and see availability and prices. 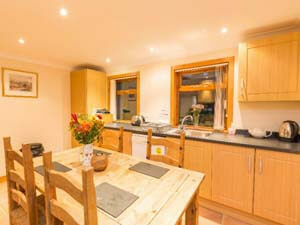 This delightful highland cottage for 2 is situated on a glorious estate in Ross-shire. 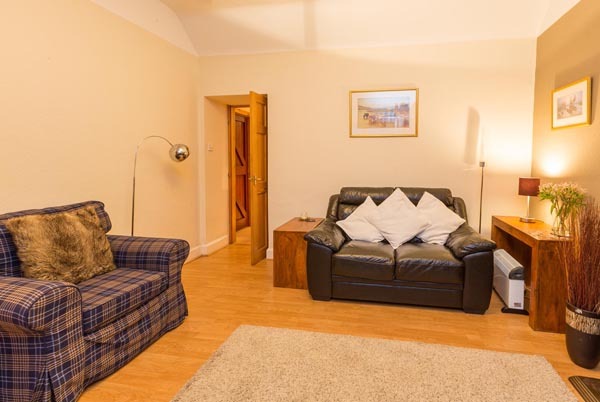 It is a perfect location for a romantic break in Scotland and with an open fire to relax in front of after a day exploring the countryside it is just ideal!